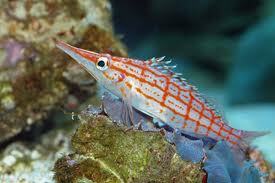 The Longnose Hawkfish has a white body with red striping that runs both horizontally and vertically. They have great personalities and are very interesting to watch. 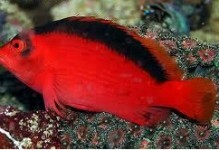 They are also the only Hawkfish reported to have spawned in captivity. 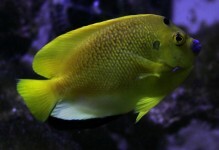 A 30 gallon or larger aquarium is acceptable, and should have a tight-fitting lid to prevent escape. 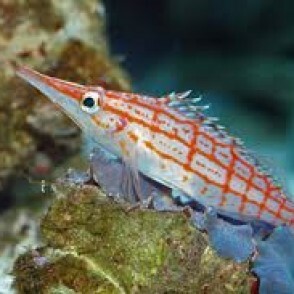 The Longnose Hawkfish is a hardy, semi-aggressive fish but other larger hawkfish will overpower it. 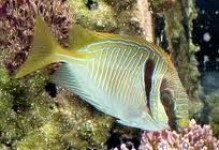 Although it eats small fish and shrimp, it makes an excellent reef inhabitant under the proper conditions. 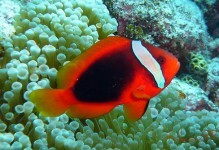 It likes to be perch on and be camouflaged by the Red Gorgonian Sea Fan or other similar decor.